Police officers put their lives on the line every day. They’d like support while performing their duties, but most would settle for simply being treated fairly. When it comes to disability retirement benefits, that’s not the case in what seems to be a growing number of instances. In recent years, states and municipalities, faced with budgetary constraints and other issues, have become less likely to grant benefits – especially line of duty or “Accident Disability” pensions – to worthy applicants. This has left many deserving retirees without the means to support themselves and their families, and bitterly wondering why the process seemed so unfair. In order to obtain an accident disability pension, an officer must establish both the legal and medical components of his claim. First, it must be demonstrated that the circumstances surrounding an officer’s injury meet the legal definition of an “accident,” which can differ depending on where an officer is employed. In New York, for example, courts have defined an accident as a “sudden fortuitous mischance, unexpected, out of the ordinary, and injurious in impact,” a complicated statement that has given rise to a great deal of litigation. The definition was established in a case where a New York City police officer claimed an injury to his back while stretching over the front of a car to secure a parking ticket under its windshield wipers. The court ruled that in the absence of some unanticipated external event which caused an injury there was no accident and, therefore, no right to an accident disability pension. New York tried to leverage the ruling to deny a wide range of applications as not qualified based on the concept of “foreseeability.” If, for example, a police officer was shot in the line of duty, the argument became that this was not “unexpected,” since the risk of being shot comes with the job. This perverse interpretation was ultimately rejected in New York City Police Department cases but still bedevils employees of the New York State Employees Retirement System, where the foreseeability rule is routinely used to deny benefits. When injuries occur, therefore, it is critical that police officers know the rules in their individual jurisdictions and take great care to submit accurate and detailed reports when injured. Failure to do so may have serious consequences. 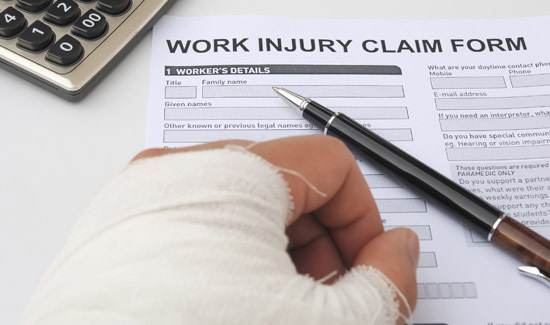 After establishing that a qualifying accident has occurred, an applicant must demonstrate permanent disability for the performance of full duty. While evaluating medical evidence should be an objective exercise, it is often anything but, and the standards used to determine disability are ever-changing. For example, the most common disability claim for police officers involves a spinal injury. As recently as 15 years ago, an officer who presented an MRI or CT scan documenting significant injury, supported by evidence of nerve damage and objective reports from treating specialists, stood an excellent chance of being deemed permanently disabled for the performance of strenuous police duty. However, at some point, almost all of these cases began being denied unless the applicant underwent spinal surgery. Presumably, submitting to surgery (although it wouldn’t justify a return to full duty status even if successful), would demonstrate that the officer’s condition was severe enough to justify the disability award. In the past several years, however, the standard changed again. Now, Medical Boards routinely deny cases which include surgery, arguing that “successful” procedures negate the necessity of awarding disability. Even where it is established that any additional injury could cause extreme permanent damage, the answer is often still no. The substantial savings derived from turning down most applications based on spinal injuries may be the real motivation behind the drastic change in the evaluation of these cases. Potential applicants should understand this going in. Medical Boards also reject many otherwise worthy cases based on an officer’s performance during physical examinations. Applicants unprepared for these critical evaluations often create the impression they are exaggerating their symptoms, undermining their own cases in the process. Board physicians are usually well-trained to ferret out malingerers but often “catch” fully disabled individuals because the injured officers do not know how to handle this most important part of the application process. Medical Boards consider clinical evidence (what the physician is able to determine from an examination) above subjective evidence (“my back hurts”) and objective evidence (MRIs, narrative reports, etc. ), and therefore, an applicant who does not know “how to be examined” is often at a severe disadvantage. Police officers filing applications for disability retirement benefits should be accorded every possible consideration by review boards, but it is naïve to think the process is entirely objective or fair. It is incumbent on those seeking benefits to have a complete understanding of the legal and medical standards involved before filing a claim. About the author: Attorney Michael Kalmus, of Mandelbaum Salsburg (www.msgld.com), has more than 25 years of experience as an employment attorney. He has successfully represented thousands of individuals in conjunction with disability retirement pensions, social security disability and private disability insurance claims. He can be reached at 973-736-4600 (ext. 117) or HYPERLINK mailto:mkalmus@msgld.com mkalmus@msgld.com.